…and those considering an SMSF. Not sure who to trust for information about setting up and running an SMSF. Well I hope after following my blog for a while you will trust me but I know that takes time so your first port of call might be the regulator for self managed super funds , the ATO. They have lots of webinars that you can attend live, download a recording to listen at your pleasure or if you prefer to read you can download the transcript. Note: there are no live sessions currently scheduled for these webinars. 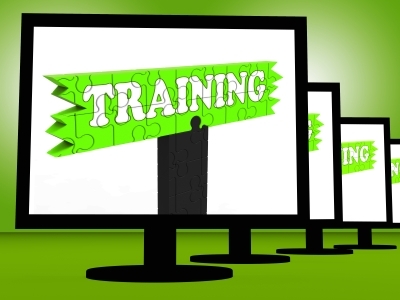 However, recordings of past webinars are now available here. So you like the sound of an SMSF and you may even have read a few blogs and articles but you want to know what the Tax Man thinks about them or more to the point what the ATO feels you should consider as part of your decision. Well now you can check out their suggestions via a new mobile and tablet app. 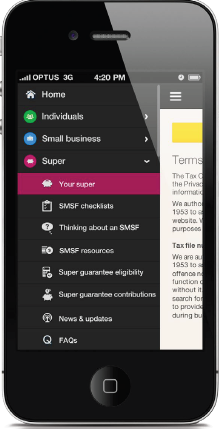 “The ATO app now helps you run your SMSF from your mobile device. Let’s face it, we run everything else from our phones, so why not get hands-on with our tax and super too? With information and assistance tailored to trustees, we’re making it easier for you to understand your responsibilities and manage your fund. Use checklists to plan your activities throughout the year and never forget important tasks. Get the latest news and updates straight from the source, check out new SMSF education videos and find out what other trustees are asking about in the FAQs. Don’t forget to check out their very handy SMSF Checklists section. Here is a guide to the contents of the video in case you want to skip back to a certain section but I recommend you watch it in full at least a few times. It’s only 2 minutes 20 seconds and it is a structure you may need for 50 or more years! Make the effort and do your research before committing to setting up a SMSF. are you aware of what’s really involved? Let’s take a quick look at a typical self managed super fund. • Any tax that’s due. • Give payment summaries to members as well as the ATO. • Payout or rollover all of the assets. help, SMSF trustees are ultimately responsible for their fund. Are you looking for an advisor that will help you set up your SMSF and keep you up to date and provide guidance and tips like in this blog? Then why not contact me at our Castle Hill or Windsor office in Northwest Sydney to arrange a one on one consultation. Just click the Schedule Now button up on the left to find the appointment options. Our copy of our Financial Services guide can be obtained by clickinghere or visiting our main www.verante.com.au website. 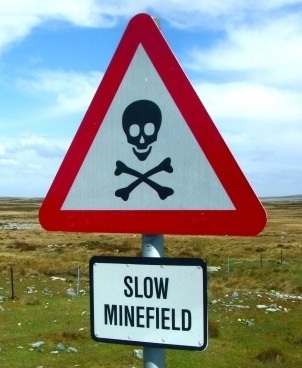 A picture tells a thousand words and a video replaces reams of legislation! The ATO have recently released two videos – the first set in a planned series of short animations designed to help you understand your SMSF obligations. If you want to know how the sole purpose test may impact on SMSF investments in property or more about meeting your annual obligations, these videos will help you head in the right direction. SMSF Trustees should subscribe to ensure the ATO lets you know when more animations are added to their YouTube channelExternal Link. Be sure to keep on the lookout for them!